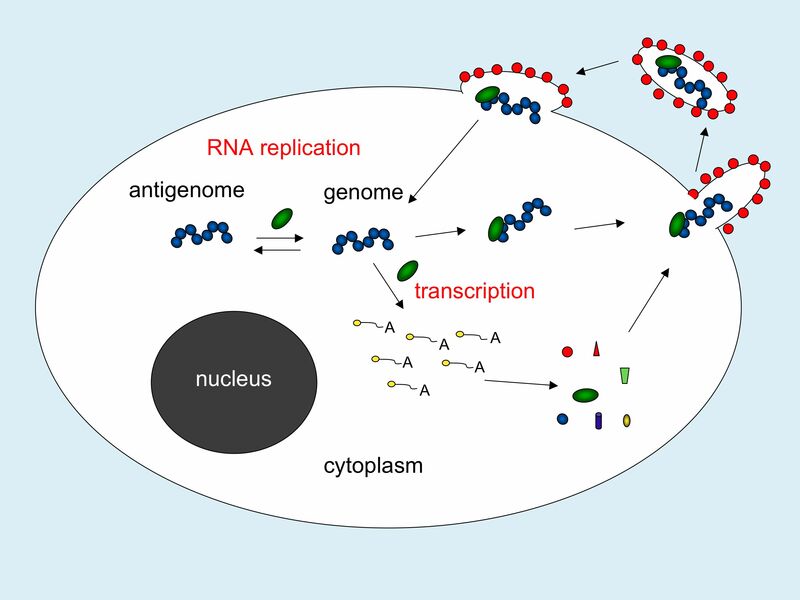 Transcription and replication are quite different processes. Transcription yields ten subgenomic mRNAs, which are capped and polyadenylated. In contrast, replication produces antigenome and genome RNAs, which are full-length and encapsidated with virus nucleoprotein. 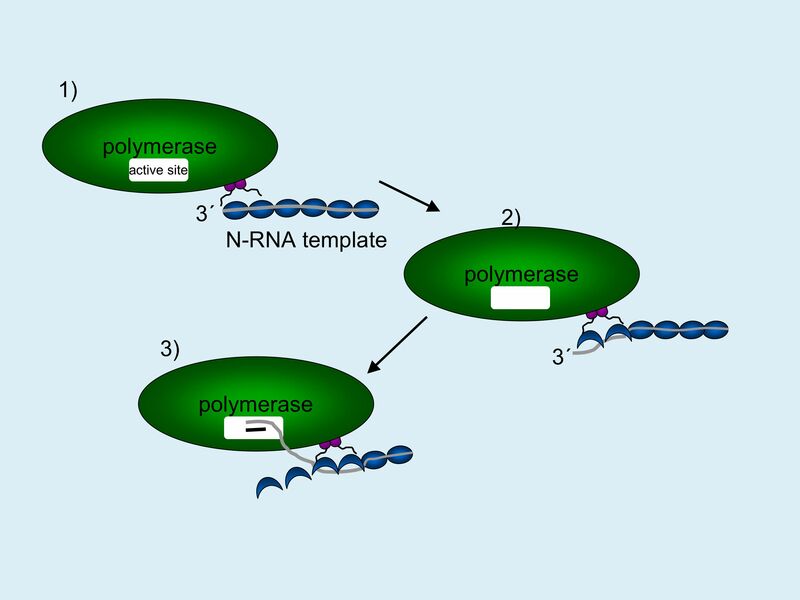 Transcription and replication are both initiated from a single promoter region at the 3´ end of the genome and it is currently unclear how the p olymerase is controlled between these two activities. 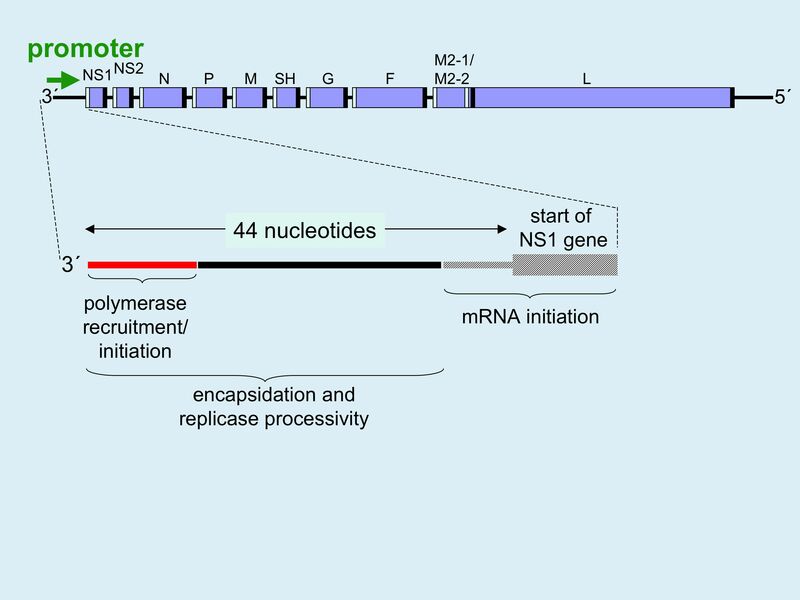 In previous studies, we characterized this promoter region and identified sequences that signal polymerase recruitment and initiation, encapsidation, and mRNA initiation (Fig. 2). How does the polymerase access RNA signal sequences within the nucleoprotein-RNA struc ture (Fig. 3)?